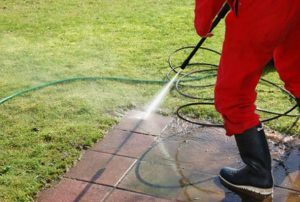 Cairns Cleaning Corp specialises in water presssure cleaning of driveways, pathways, patio areas, fences, gutters and the removal of graffiti in the Cairns area. Customised office cleaning solution for businesses in Cairns. From vacuuming, sanitising & rubbish removal to floor maintenance, washroom cleaning and supplies. We do it all. We customise all cleaning schedules to fit in with your work hours and office cleaning, hygiene & supply requirements. Most office cleaning is done outside of business hours, so when you leave the office for the day you can rest assured that when you return in the morning and open your office door you’ll be greeted with a clean & fresh office allowing you to get on with your more important tasks at hand. If you already have an office cleaner for your Cairns Office and aren’t satisfied with the results or maybe you think you’re paying too much, we can arrange a confidential quote for you to compare with your current provider. No obligation.